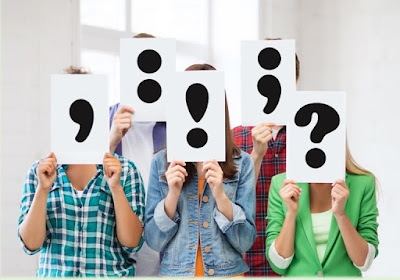 Unless you are a self-proclaimed Grammar Geek, the thought of planning your next punctuation lesson probably does not make your top-ten-favorite-things-to-do list. It didn’t make my list either until I stumbled upon a few lessons that changed my mindset. Now, punctuation practice sessions are among my favorite lessons to facilitate. Students laugh, argue, and act out tasks involving punctuation. 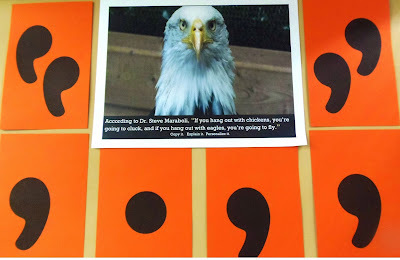 In short, students are enjoying writing convention lessons, and punctuation marks are getting the respect they deserve. But do you want to know what the most compelling reason is for encouraging students to play with punctuation marks? Transfer. 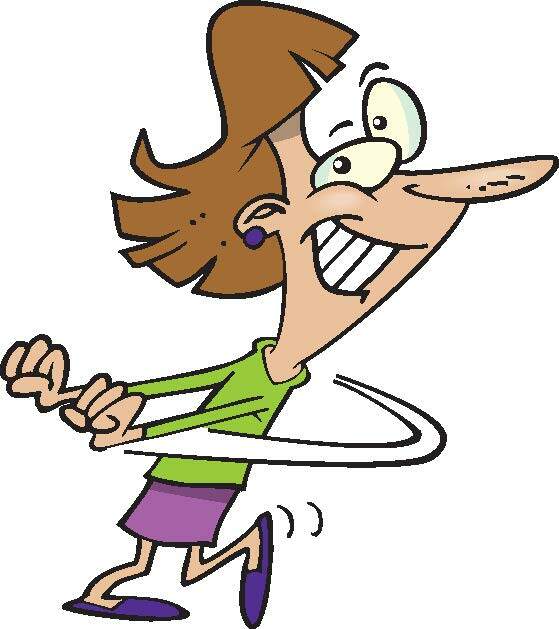 Sure, we all know that it’s a great idea (not mention a Best Practice) to sprinkle kinesthetic activities into our lessons throughout the day to keep students alert. 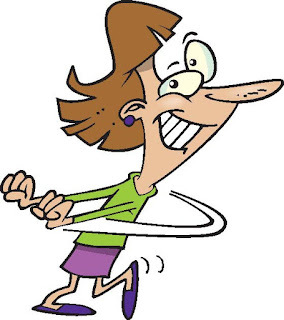 But once my students’ writings evolve to the point where they get me to visualize a series of actions, to experience an emotion, or to stop and pay attention to something – simply by using punctuation marks strategically – my teacher feet want to break into the Snoopy Happy Dance! And it happens every year…without fail. I know that’s a bold claim, but these lessons change writers. Grab a free set of punctuation cards here. I don’t know what it is about famous quotes, but they bring out the mini-philosophers in students. Kids who rarely speak in class, often weigh in on what the meaning of a quote could be. Maybe it’s because students are grateful for any opportunity to voice their opinions. Maybe it’s the fact that they can relate to someone who is considered worthy enough to be quoted. Or maybe it's non-threatening because there is really no "right" answer. But what I think makes quotes so irresistible, is that students are fascinated with the art of storytelling - and the best quotes conjure up the storyteller in all of us. So every Monday, I place a quote on the board along with the name of the celebrity who said it. I use the word “celebrity” for authors, pop stars, scientists, and actors. Any person - past or present who has been celebrated for excellence in any niche is fair game for the Celebrity Quote of the Week analysis. Step 1: I write the quote on the board without punctuation or capitalization. Steps 2 and 3: After the class comes to a consensus on how it might be punctuated, we share our thoughts, stories, or even factors which may have prompted the celebrity to make that statement. If I have a class that struggles with punctuation, I post the punctuation marks (as shown above) with the quote. Step 4: Finally, students write the properly-punctuated quote in their notebooks before composing a 3-5 minute quick write. Once we have collected five quotes using this system, students will select one to analyze, research, and submit for a grade. I was late to the party when it came to using childrens' books as mentor texts with secondary students - but once I started using them (and saw how well my students received them), I was hooked. Lynne Truss’ punctuation books are perfect examples of childrens' books that can be used with secondary students. Each two-page spread showcases whimsical illustrations. Under each drawing, Lynne writes the same sentence, but punctuates each one differently to support the message of the drawing. One of my favorite ways to use these books, is to showcase one illustration and have students hold up the punctuation marks which they would use to punctuate the sentence I've dictated, distributed, or displayed. Step 1: For the example shown in the photo, I displayed “the shop sells boys and girls clothing” (the unpunctuated version of the sentence) along with one illustration. 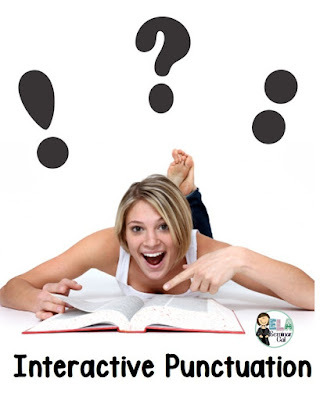 Step 2: In response to the left illustration, students should have held up two apostrophes and a period to indicate that clothing is on display. For the right illustration, students should have held up one apostrophe and a period to indicate that boys and clothing are on display.This graphic example proves that by omitting a single apostrophe, the entire meaning of the sentence changes dramatically. 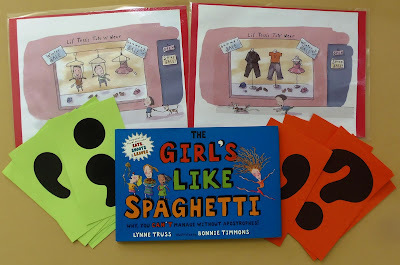 Step 3: Finally, students work in groups to punctuate several pages from one of three punctuation books.Lynne Truss' entertaining punctuation books include: Eats Shoots and Leaves (commas), The Girl's Like Spaghetti (apostrophes) and Twenty-Odd Ducks (all punctuation marks). Students will be required to include (and highlight) a sentence using the skill of the week in every quick write they draft throughout the week. So there you have it… my three favorite punctuation lessons. If you give one of these lessons a try, I'd love you to stop back here when you get a minute to share your story. 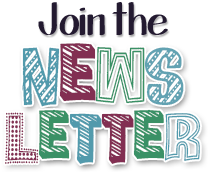 (2) Check out more fabulous freebies offered by the Secondary Smorgasbord bloggers below. 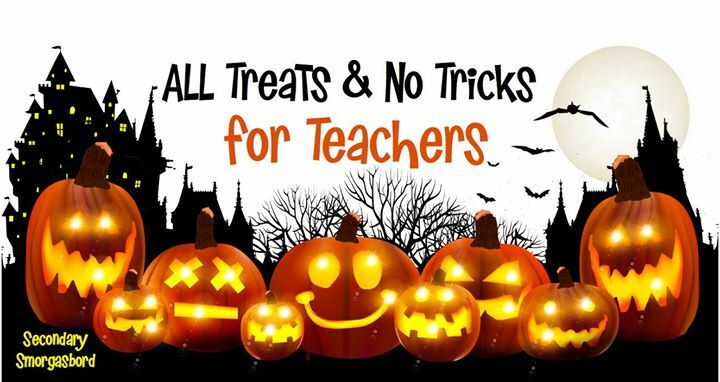 Thank you, ELA Buffet and Desktop Learning Adventures, for hosting this "All Treats and No Tricks for Teachers" blog hop! I absolutely love these ideas! Who knew punctuation could be so engaging!? There's so many possibilities with the quotes that my wheels are already turning! Turning wheels, huh? I love it! Living sentence looks so fun! Thanks for sharing. You're welcome. Thanks for stopping by to comment! I am huge fan of using quotes of famous people or literature with kids, and your added punctuation component only makes them that much more enticing. I think that kids like quotes because not only are they authoritative and full of gravitas, they also are a snippet of profundity that kids can take with them. It's cool because all of us are sort of in awe of the power of a good quote, and then when we actually get to quote it forward, we have the power. And that's how literature is right, the reader ultimately owns it. Great way to get the kids quoting and learning proper punctuation at the same time! "Quote it forward." I'm stealing that phrase. It's sounds so altruistic. Kids love to get up and move around, and this makes grammar so much fun. Thanks for sharing! I love these ideas! 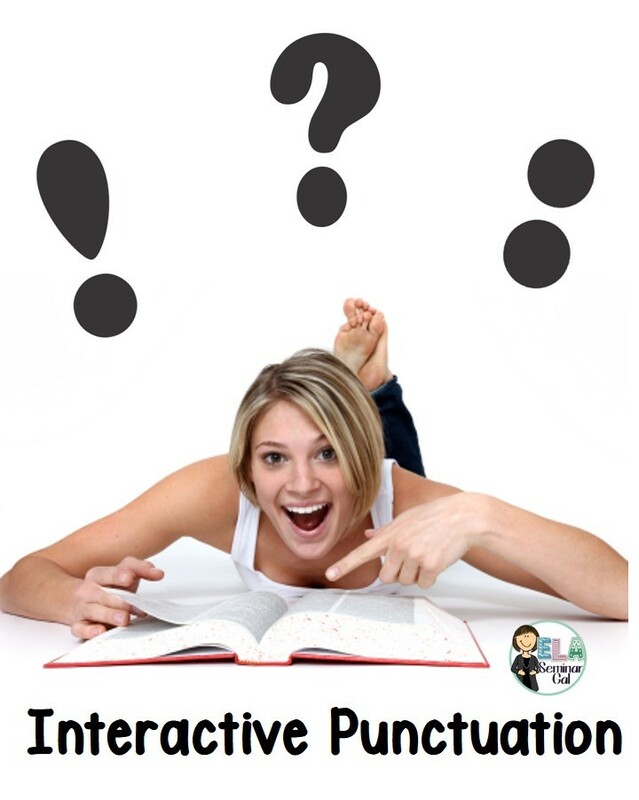 I never knew that teaching punctuation could be so much fun! What a clever combination of techniques for visual, auditory and kinesthetic learners. Terrific! Thanks, Connie. This was a fun freebie to make! Such a range of great ideas - and yes, there is something about those deep and meaningful quotes to really get students talking! This is a great idea! Up and moving gets them learning. And kids are never too old for picture books! Very fun! I am still in awe of the fact that using picture books in high school is so effective! I love your Living Sentences idea! I'm totally going to try this! Such great ideas for practicing great skills! Thank you for sharing. Janice, I am absolutely giddy thinking of how I'm going to use your Punctuation Quotation idea! It is FANTASTIC! I'll let you know how it goes. My "mini philosophers" are going to love it! Wow! These are so creative, and I can't wait to try the "Living Sentences" idea. Thanks for sharing ways to make teaching grammar more engaging. Backatcha! I just downloaded your Halloween Bell Ringers. What a generous freebie! Thanks for the suggested responses,too!